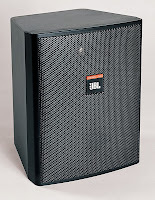 NORTHRIDGE, California – Delivering added functionality for applications where audio is critical to security and safety, JBL Professional has introduced the new Control 25AV-LS loudspeaker. Designed for applications where the music playback loudspeaker system also serves as the life safety system, the Control 25AV-LS (and the Control 25AV-LS-WH in white) is UL listed under UL1480/UUMW as a Fire Protective Signaling Speaker. With powerful and highly consistent performance, the Control 25AV-LS is based on the successful Control 25AV loudspeaker. Like the Control 25AV, Control 25AV-LS features a 60W multi-tap transformer with 8 ohm bypass, InvisiBall mounting and a magnetically shielded woofer. With the Control 25AV-LS, system integrators now have a model for fire alarm, voice evacuation, or life-safety applications requiring a professional-quality compact loudspeaker, as well as for other applications where code may require that surface mount speakers carry a UL Listing. The Control 25AV-LS features a paintable aluminum grille. Coating the woofer in polypropylene and terminating its circumference in JBL’s WeatherEdge™ a seamless, butyl rubber extension of the woofer surround, protects critical transducer elements. The polycarbonate tweeter diaphragm is reinforced with a thin film of titanium for added rigidity and endurance. Nickel/zinc rust-resistant terminals ensure a secure input connection. JBL’s exclusive SonicGuard overload protection is virtually inaudible to the listener, ensuring reliability while providing full fidelity sound. SALT LAKE CITY, Utah – For guitarist Tommy Bolan, music is life. “I live, eat and breathe music. Nothing else has ever mattered more to me,” he states. For Bolan, whether he is promoting his new album Zyko, performing a demonstration, or just showing his skills as a monster on the axe, he utilizes DigiTech gear regularly. CHULA VISTA, Calif., February 20, 2009 — Hitachi Home Electronics (America), Business Group has introduced the CP-A52 3LCD projector offering ultra-short throw capability and easy maintenance. Hitachi now offers three ultra-short throw projectors with the introduction of the CP-A52 (including the CP-A100 and ED-A100), providing “Good/Better/Best” options for a growing number of end-users with varying needs and budgets. All three models can be used in combination with Hitachi Software StarBoard FXDUO interactive whiteboards. The Hitachi CP-A52 3LCD short-throw projector has the ability to project an 80-inch image from a 25 inch distance, meaning presenters no longer have to worry about obstructing the projected image by standing in front of the screen. Additionally, there aren’t any shadows interfering with the image and there isn’t any light in the presenter’s face. The CP-A52 offers a brightness of 2,000 ANSI lumens and XGA resolution. The CP-A52 also contains features that address convenience. For example, the projector’s hybrid filter only requires maintenance every 2,000 hours. In addition, the lamp door is located on the top of the model, making lamp replacement a simple process. This feature is beneficial even when the projector is ceiling mounted. The CP-A52 offers Hitachi’s Perfect Fit functionality, allowing the user to adjust each corner of the image horizontally and vertically to fit any screen. Additionally, the Template Function projects lines onto the screen, making it easier to write on a whiteboard or blackboard. The CP-A52 saves energy with functions such as Audio Pass Through. This allows the output of audio when the projector is in standby mode, saving lamp life when the presenter only needs sound. Also, the projector’s Saving Mode reduces power consumption to less than 5W by disabling RS-232C control except power-on command, monitor-out and audio capability. The CP-A52 is easy to use, featuring advanced connectivity and proprietary Hitachi functions including My Buttons, Input Source Naming and My Text, while the projector’s Closed Captioning functionality enables even more effective communication. The CP-A52 also addresses security with functions such as multilevel PIN locks, a security bar and a Kensington slot. NORTHRIDGE, California – Reaffirming its support of customers and distribution partners in the Asia pro audio recording and broadcast systems integration communities, Harman Professional announced the appointment of several new staff members to the Harman Pro Asia team expanding on their success with channel partners in Asia, Latin America and Canada. The Harman Pro Asia office, located in Kuala Lumpur, has effectively added three new additions onto their team: Eric Goh, Kit Roche and Raymond Tee. 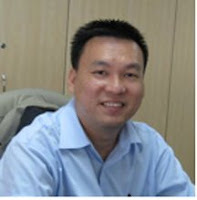 Goh has been added to the Asia staff as Regional Sales Director for South Asia; a position in which he assumes responsibility in handling all dealings involving Southeast Asia, Australia and New Zealand. He brings strong distribution and sales experience to his role at Harman Pro and will report to David McKinney, Harman Professional’s Senior Director of Sales for Asia. 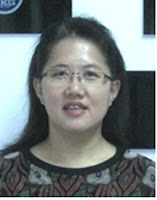 Goh is a business graduate from Southern Queensland University. Another team addition, Roche comes to the office with twenty years of administrative experience that will ensure the smooth operation of the Harman Pro office along with the ability to successfully support the team. Roche will uphold the position of Office Manager and will handle human resource management, travel policies and support, office operations and facilities, and coordination reports for the Asia Team. To round out the newly appointed members of the Asia team, Tee joins as Application Engineer and will confidently handle technical support and system design support for all of the Harman Pro brands. Tee holds an Advanced Engineering Diploma majoring in electronics and comes with five years experience in the audio industry, working for both systems integrators and distribution firms, Tee will bring an eminent attitude to the office. 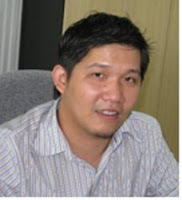 He will report to Michael Trimble, Harman Professional’s Senior Application Engineer in Asia. The Harman Professional Asia Field Sales Office can be reached at (60) 3 2095 1020 or via email at david.mckinney@harman.com. SALT LAKE CITY, Utah — BSS Audio®, a Harman International Company (NYSE-HAR), today added a cost-effective break-out box to its acclaimed Soundweb™ London family of digital signal processors. The new BLU-BOB output expander compliments the seven other members of the Soundweb London™ family and represents an inexpensive solution to increasing the number of outputs in a Harman HiQnet™ networked system. Each of the eight different Soundweb London devices offer a different mix of signal processing, CobraNet™ and digital audio bus functionality, making a Soundweb London system the perfect match for any application. ELKHART, Indiana – For Audio Analysts, excellence in tour sound is a tradition that began over 35 years ago. The company’s commitment to excellence and delivering the highest quality sound has made it the choice for sound reinforcement for the biggest names in music including Bruce Springsteen & the E Street Band, Shania Twain, Sammy Hagar, Norah Jones, The OffSpring, No Doubt, and Ringo Starr. It’s with this mission in mind that Audio Analysts has chosen the new Crown I-Tech HD amplifiers to power its tour sound division. For Audio Analysts, the quality of performance of the new I-Tech HD comes to no surprise. “We have been using Crown amplifiers since the early 1970’s. I can remember when we were utilizing the D-75, D-150, and D-300. Over the years we’ve tried other brands but we always come back to Crown as our flagship amplifier,” stated Albert Leccese, Vice President of Engineering for Audio Analysts. I-Tech HD features a new user-inspired DSP engine co-developed with BSS called OMNIDRIVEHD. The new LevelMAX limiter suite offers higher SPL out of existing loudspeakers while at the same time better protection and minimal sonic degradation. Harman HiQnet™ System Architect™ mirrors the typical browser navigation interface to provide tour sound professionals with an interface to access a host of power configuration and control functions. “We are always searching for the best possible audio products for our customers. Our world-class clients strive to play at the top of their game, which demands superior performance on our part. The Crown I-Tech HD is a testament to that attitude, which validates our continued support for our clients. Audio Analysts strives for innovative technologies that reinforce our efforts to supply our clients with the best equipment at a fair price,” stated Leccese. “Audio Analysts reputation in the live sound industry speaks for itself. When we build a product such as I-Tech HD we go straight to customers like Audio Analysts and get their thoughts and opinions on what they need to see in an amplifier. We take pride in knowing Audio Analysts have and will continue to use Crown products such as I-Tech HD because they believe in what we are providing, stated Marc Kellom VP of Marketing for Crown. “The new Crown I-Tech HD offers users an unparalleled sound quality. These amps deliver a lot of power for their small size and weight. Also, the next generation DSP allows for more precise algorithms for system EQ and tuning. Of course with Crown you have the ability to easily network your amplifiers as well as utilizing Harman HiQnet System Architect. Ultimately Crown gives you the best bang for your buck, when you look at the price and what you get in terms of performance and features,” added Leccese. 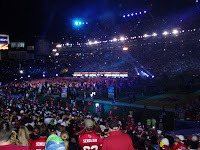 In a unique and challenging live sound application, Audio Analysts of Colorado Springs, CO utilized Crown I-Tech amplifiers for the monitor system at the Super Bowl XLIII Halftime Show featuring Bruce Springsteen and the E Street Band held at Raymond James Stadium in Tampa, FL on February 1, 2009. This year’s Super Bowl was broadcast to 230 countries worldwide and was viewed by a total of 94.5 million people in the United States alone. Crown I-Tech amplifiers feature advanced DSP processing and a built-in LCD screen on the front panel allowing for basic features and amplifier status to be accessed from the amplifier’s location. Additionally, the reduced size and weight of the I-Tech series and low power needs make it a versatile amplifier that can be used in any live sound application. “We’ve always utilized Crown and I-Tech is a great amplifier because it’s light weight and it gives you a lot of power. Having worked with Bruce Springsteen for the last 17 years we know how hard he works to deliver the best show possible to his audience. Our goal is always to ensure that everyone from the band to the audience is getting the best sound possible,” added Leccese. For more information on Audio Analysts, please visit www.audioanalysts.com. The introduction of the Crown I-Tech HD series amplifier has caught the attention of the entire tour sound industry. 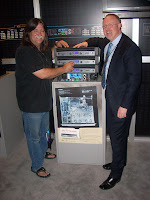 Most notably, Southern California-based Sound Image Inc. has agreed to purchase over 800 I-Tech HD amplifiers for its tour sound business. “Our customers are extremely demanding and I-Tech HD gives Sound Image the ability to take our system performance to unprecedented levels,” stated Dave Shadoan, president of Sound Image Inc. “At Sound Image we have always prided ourselves on providing the best sound possible to the clients we serve.” Sound Image’s touring division is known as a provider of premium live sound systems, working with major artists such as Rascal Flatts, Jimmy Buffett, Eric Clapton, and Taylor Swift to name a few. At its core, I-Tech HD features a new user-inspired DSP engine co-developed with BSS called OMNIDRIVEHD. The new processing engine features Linear Phase FIR filters that offer unrivaled crossover performance for sonically pure tunings. The OMNIDRIVEHD processing engine also features an innovative new suite of limiters called LevelMAX™. The new LevelMAX™ limiter suite offers higher SPL out of existing loudspeakers while at the same time better protection and minimal sonic degradation. Harman HiQnet™ System Architect ™ mirrors the typical browser navigation interface to provide tour sound and contracting professionals with a familiar interface to access a host of power configuration and control functions. “We designed the Crown I-Tech HD with sound companies such as Sound Image in mind. Many of the new features we engineered on this amp are the result of great feedback we received from companies like Sound Image. At Crown we have an understanding of our customers and their need for powerful and rock-solid performance from their sound reinforcement equipment,” stated Marc Kellom, vice president of marketing at Crown. Digital consoles seem to be freely flowing from the Soundcraft Studer team these days, as a new member of the Si Series is announced. The Soundcraft Si2 is a smaller partner to the Si3, launched only in September last year, and is bound to appeal to those wanting a compact and highly-featured digital console at a competitive price. Like the Si3, the Si2 uses a combination of rotary encoders and OLED screens on every channel so the engineer mixes at source, without recourse to a central screen; an interface welcomed by many engineers since the console’s launch last year. Four assignable on-board lexicon effect engines supplement 4 stereo inputs to provide a really powerful mix package in a width of 1.4m for a UK list price of £17,950. Hitachi Software Engineering America, Ltd. today announced a partnership with RM Education in an effort to offer more curriculum tools and educational content for its StarBoard FXDUO interactive whiteboards. RM Easiteach software is now being included free of charge with the purchase of any Hitachi FXDUO whiteboard. The purpose of this combination is to expand Hitachi’s existing library of educator resources with RM Easiteach’s signature toolbars for math, language arts, science, and social studies. The toolbars are designed by education experts to present familiar teaching concepts through the touch interaction provided by the StarBoard FXDUO interactive whiteboard. RM Easiteach is rapidly becoming the most popular interactive whiteboard curriculum solution with a 150,000 plus user base, and an online resource community that also allows non-RM Easiteach users to download and share lessons on the RM Education website, a similar value and vision that Hitachi Software supports with their StarBoard resource center. The company’s wide teacher acceptance and long participation in the education community are the key drivers for Hitachi Software’s decision to partner with RM Education. “This partnership is the result of listening to feedback from our customers, and our commitment to enhance the learning experience with Hitachi interactive whiteboards,” stated Ray Soltys, Director of Sales for Hitachi Home Electronics (America), Inc. Business Group. The official kick-off for the FXDUO and RM Easiteach combination will occur at the TCEA show in Austin, TX. For more information on this partnership and live demonstrations please visit the Troxell Communications booth.